Stone Island choses Hong Kong for its new monobrand. The store is located on Queen’s Road Central, the street that clusters numerous most fashion-forward international labels. 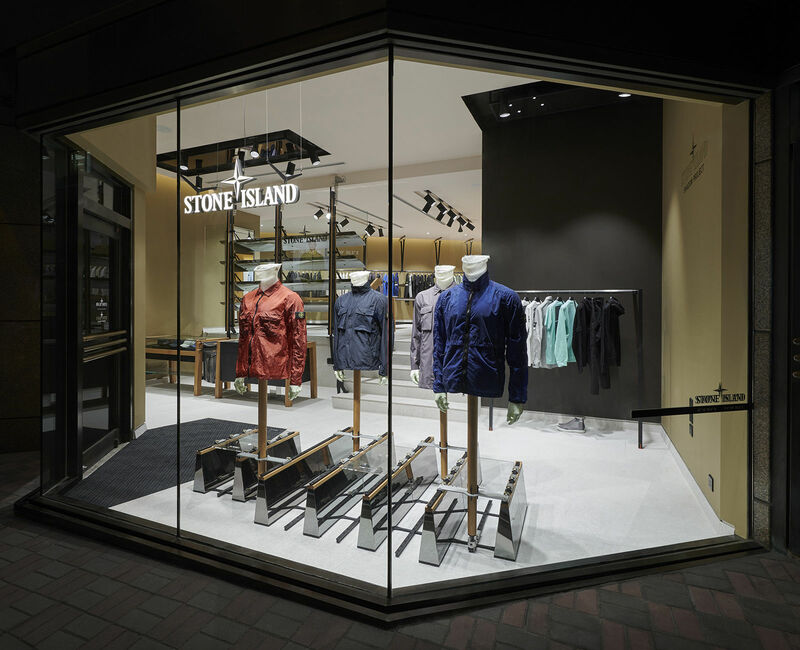 With an area of 90 sqm, it hosts the Stone Island and Stone Island Shadow collections. The internal design follows the concept of the Stone Island stores – that was created by Marc Buhre, an industrial designer from Heidelberg (Germany) founder of the architecture studio Zeichenweg TM. The floor is made with large triangle-worked stone and the furniture mix materials such as natural oak, anodized aluminum, fiberglass, carbon and a transparent glass element that define the space in the mezzanine. The natural colors contrast with the yellow felt of the changing rooms. 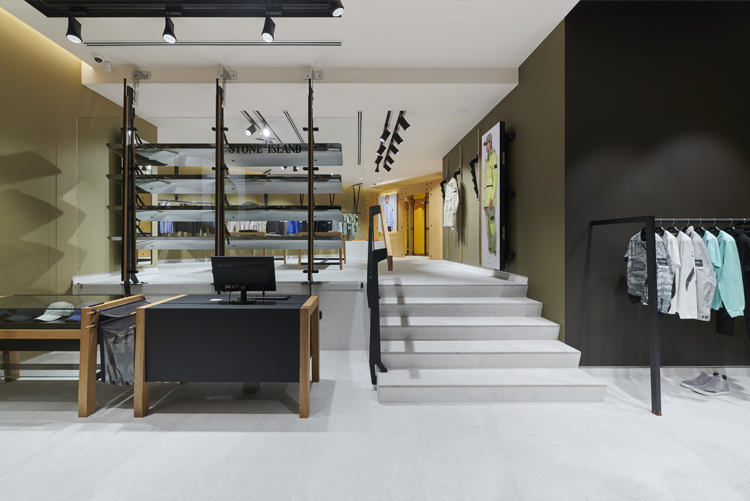 The store in Hong Kong is operated by I.T and represents the 23rd monobrand store for the Italian menswear brand, led by Carlo Rivetti.